I’ve been running ActiveMSers for a dozen years now, and while I’ve been to many MS summits and events, I’d never been to a full-on research conference. 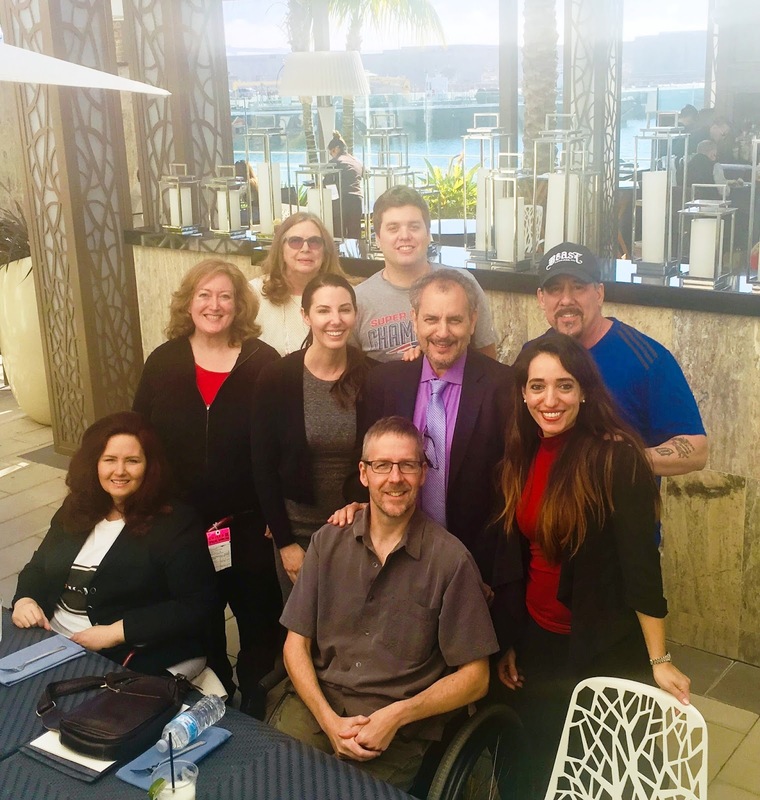 That all changed with a recent visit to San Diego where ACTRIMS, the Americas Committee for Treatment and Research in Multiple Sclerosis, was being held. 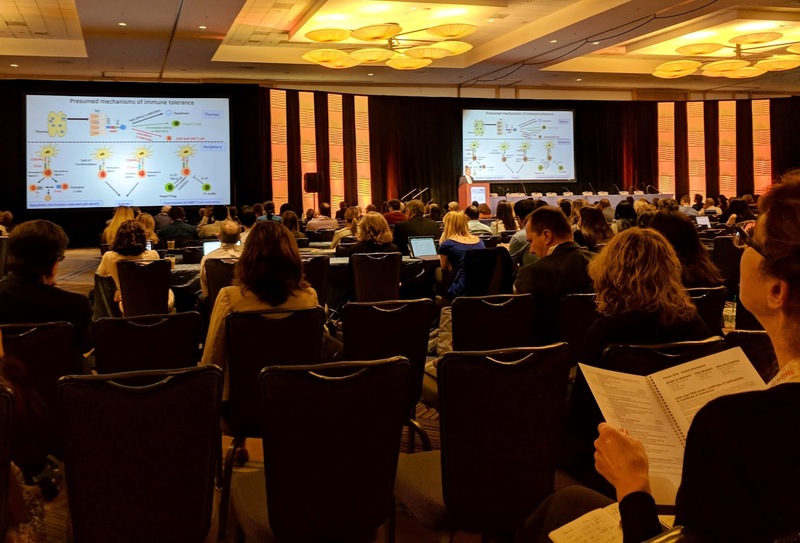 It was as advertised: some 1,000 acclaimed MS researchers and clinicians at the top of their game. 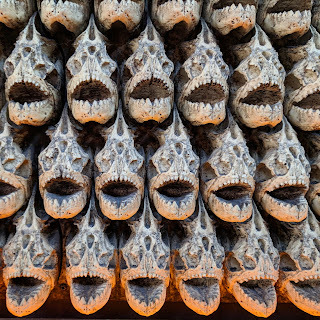 A restaurant nearby that has a wall with some 1,000 piranha skulls that was just too cool not to take a picture of and stick in this blog. And a dude named Dave. Oh gawd. Now I didn’t get here because researchers were eager to have a rabble-rousing amateur comedian/MSer harassing them. No, that was Actelion, a pharmaceutical company—recently acquired by Janssen—preparing to enter the MS space with a novel combination treatment (full disclosure: they sponsored my trip and provided a small honorarium). 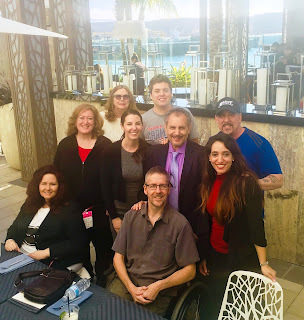 They brought out me and a handful of other well-known MS advocates to pick our brains and get input on their newly launched clinical trial, POINT. 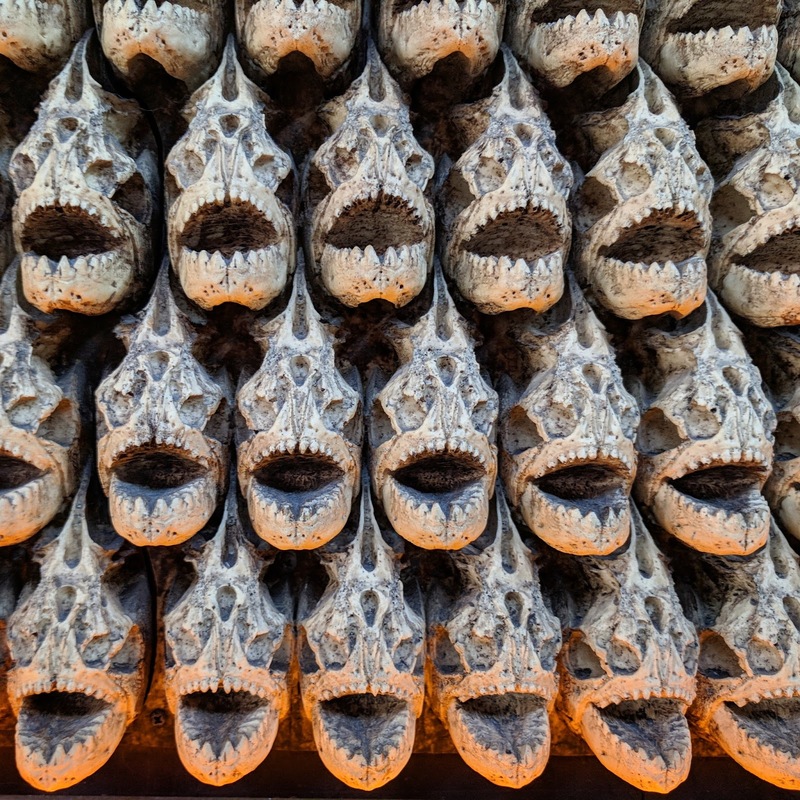 Without going into great detail—because, well, if I told you, I’d have to, you know—POINT is a placebo-controlled Phase 3 clinical trial looking at adding on the oral drug ponesimod to patients currently taking Tecfidera. Since I am not relapse remitting and don’t take Tec, I have no skin in this game. But a month ago by chance (before Actelion even talked to me), I was chatting with my neuro, himself a renown MS researcher, about any exciting MS research on the near horizon. And he mentioned this study specifically. He was that excited about its prospects and the potential power of this combination therapy in MS. So for Tecfidera users interested in furthering research trials, this may be a treatment that could supercharge your MS therapy. Details and eligibility criteria are here. Then, using my honed inner radar and expert intuition, I skipped checking in and headed straight into the unmistakable den of MS researchers preparing for an intense, 3-day conference: the bar. My, how convenient, since a beverage sounded good to me, too. But I made a critical error. My wheelchair lacks a cup holder. I was left with a Sophie’s Choice. Sip a Manhattan and Tweet about how I almost met world-renown researchers. Or forgo the beverage and accost every table, reminding each and everyone involved in MS research to get a move on and cure this thing already. By the time I was finished making my rounds, it was well past midnight, I hadn’t gotten up to my room yet (!!! ), and I was darn thirsty. But I learned a lot a lot. Too much to put in a little blog post. My biggest takeaway was the passion and surprising giddiness about the future of multiple sclerosis research. To a fault, all accosted were not only happy to talk to me (as if they had a choice), but also genuinely excited about the progress, and I’m pretty sure it wasn’t the liquor talking. I got the honest sense that this isn’t just a paycheck to them, and many had deeply personal stories about how MS has affected their lives, their families. But I just want to tell you that in our world of multiple sclerosis there is hope. And I saw it firsthand. Yes Dave, whenever I have met researchers like you are describing (which is quite infrequently relative to your efforts), I have always been impressed by their enthusiasm with the effort and accomplishments which are taking place. It is truly heart warming to see these people so excited and working so hard for our sake. There is no doubt that there is an incredible team of scientists working on our behalf to solve the multitude of problems involved with this disorder. Support these people however and whenever you can! Larry, word. I would also use the term woke, but I'm not entirely sure how to use that properly in today's vernacular. Kim, I definitely walked (er, rolled) away impressed.